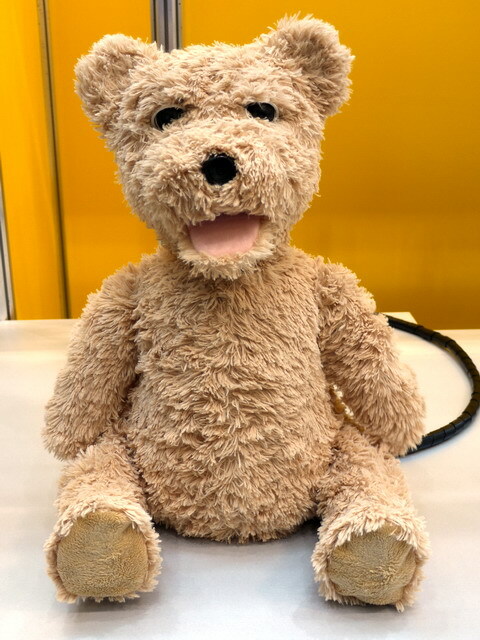 During my internship in Fujitsu Laboratories Japan, I worked on their human-centric robotics project involving a bear robot. The bear was designed and built to support young and elderly care, providing eduction and play for children, and human like care-support for Japan’s aging population. My project had me learn the bear’s hardware and software architecture, iteratively develop a user-friendly application controlling the bear, and carrying out and evaluating a set of psychology experiments to understand human perception of the bear. I was then challenged to develop a new sensor hardware interface for the bear to automatically detect people from a distance, increasing the bear’s awareness of its environment. The project was a complete hardware to software solution, involving building the new hardware circuits, before then integrating them into the existing software architecture.